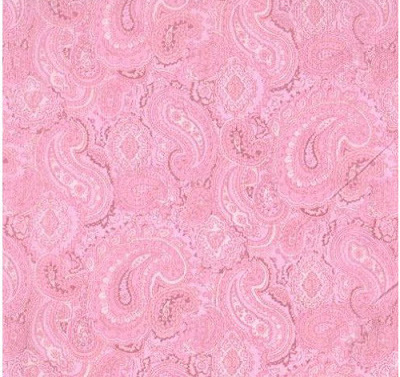 I finally received my ric rack and tried several layouts on the first Breast Cancer quilt. I finally came to a compromise where I was able to add a small amount to the center blocks and set them off without detracting from the rest of the quilt. I'm happy with the results. I added it using super fabric glue since the quilt will probably not be washed with all the other extras on the quilt. I've decided to try and quilt the second one on the long arm as well. 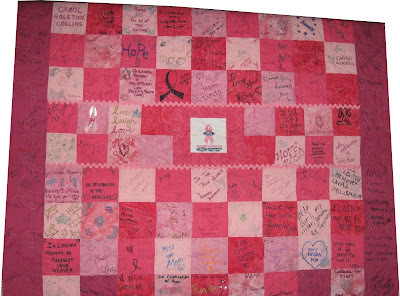 I've carefully removed the bobbles from the second breast cancer quilt. I've photographed and mapped where they should be returned to after the quilting is done. 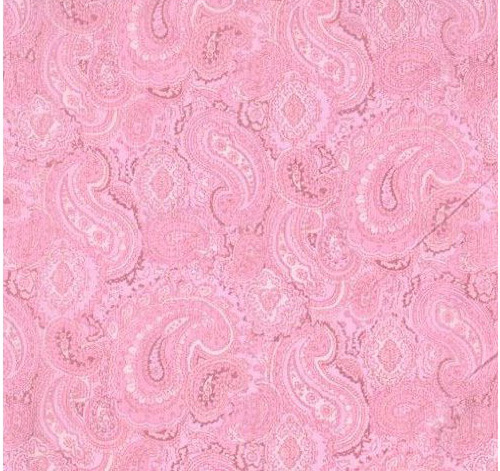 The backing I will be using on the second quilt is a soft pink paisley 108" backing. Therefore, no piecing needed for this backing. I like that! The next couple of weeks the push is on. I need to have these completed by mid September and shipped back to the sponsors so that they are ready for Breast Cancer month. Hopefully today, I'll have the binding completed on the first quilt and the second quilt quilting completed.